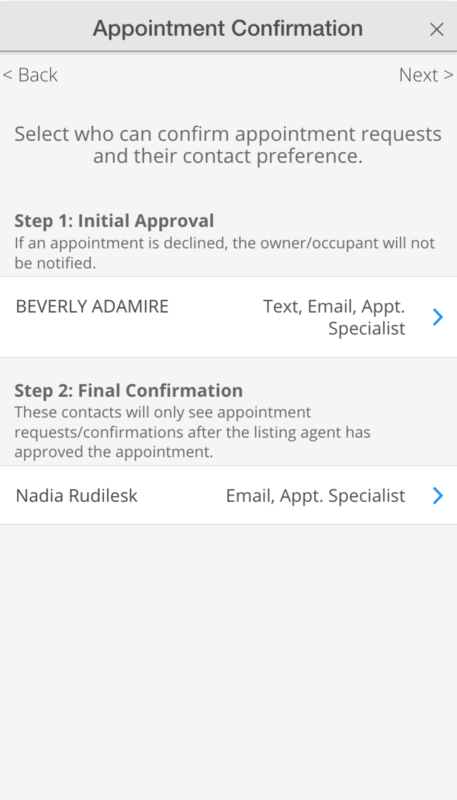 You can choose which contacts have the ability to be the Initial Approval or Final Confirmation. 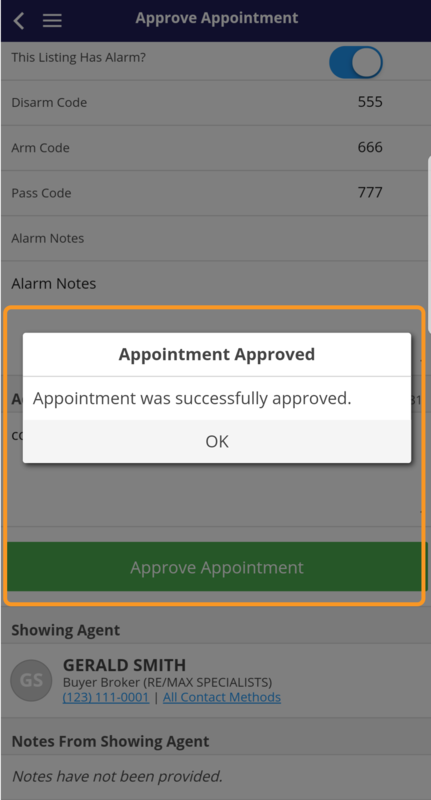 You will also be able to change the contact order and choose which notification methods. 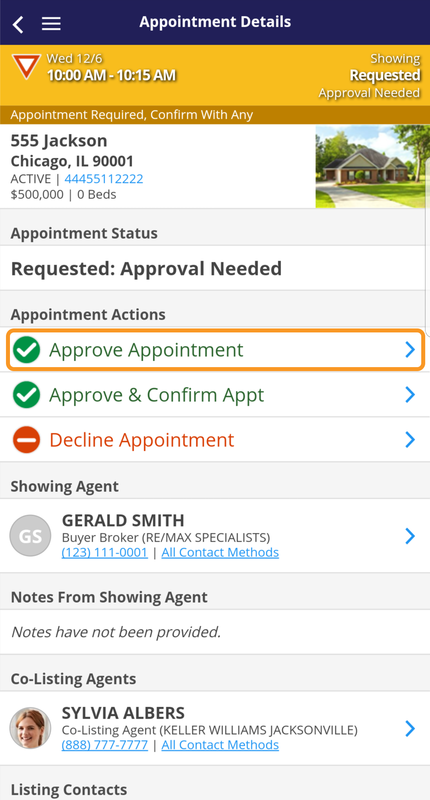 From the App choose Showings On My Listings, locate the showing and choose Approve and Confirm. The appointment is now confirmed. 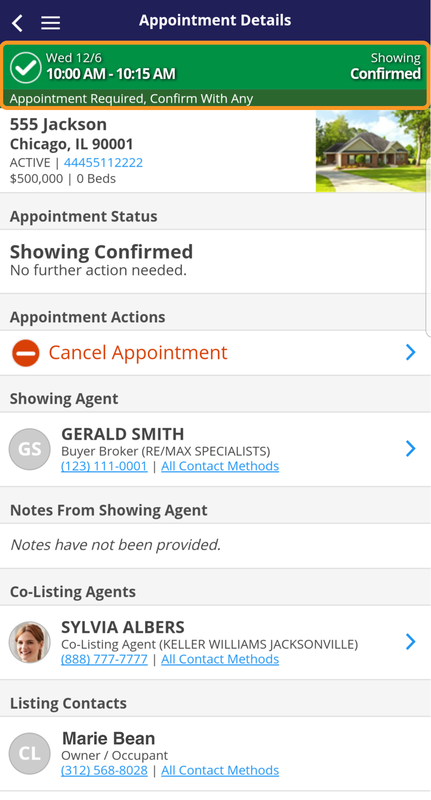 The Showing Agent will receive the relevant information. 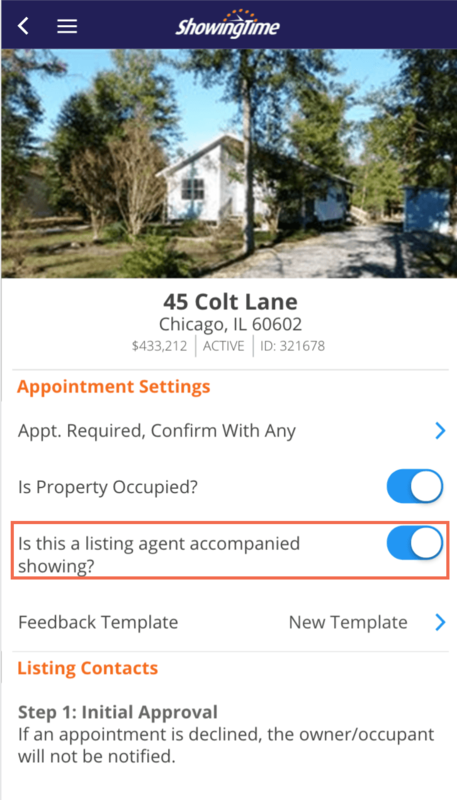 From the App choose Showings On My Listings, locate the showing and choose Approve. 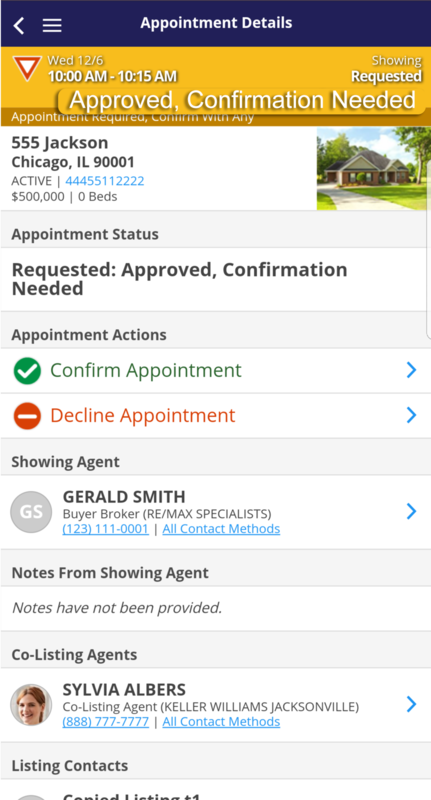 The Seller or another Final Confirmation contact will be able to approve or deny the showing.